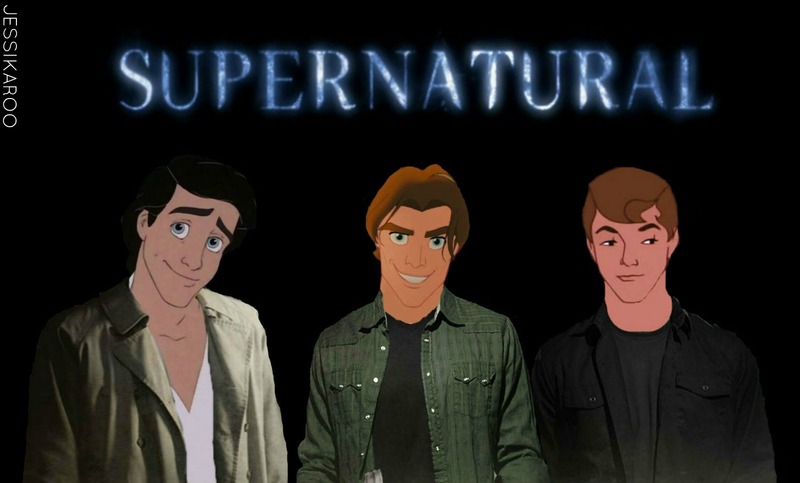 disney supernatural. No hate please, this was a lot of fun to make. HD Wallpaper and background images in the supernatural club tagged: supernatural castiel sam winchester dean winchester. This supernatural photo might contain animado, cómic, manga, historieta, anime, and dibujos animados.